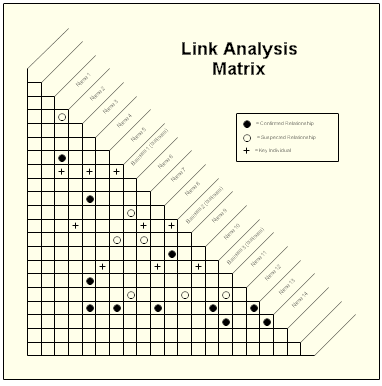 These charts can be downloaded and edited. 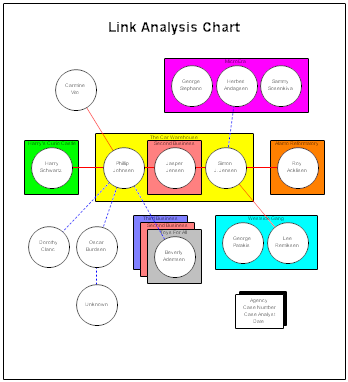 It is often easier to modify an existing chart than to draw a new one. If you haven't done so already, download the free trial version of RFFlow. Once it is installed, you can open the samples on this page directly in RFFlow by clicking the links to the right of each picture. From there you can zoom in, edit, and print the sample chart. To open the Criminal Analysis stencils, click the More Shapes button in RFFlow, and then click the box with the plus sign to expand the Criminal Analysis folder. 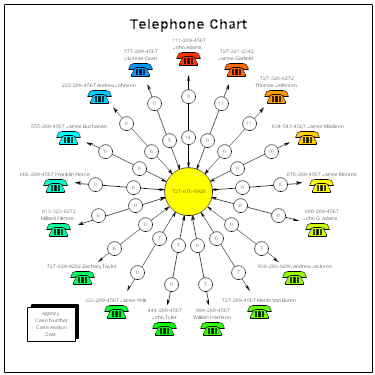 How to Draw a Telephone Frequency Analysis Chart. 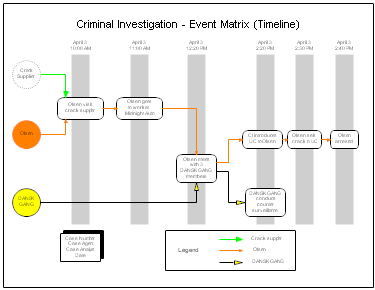 How to Draw a Timeline (Event Matrix). 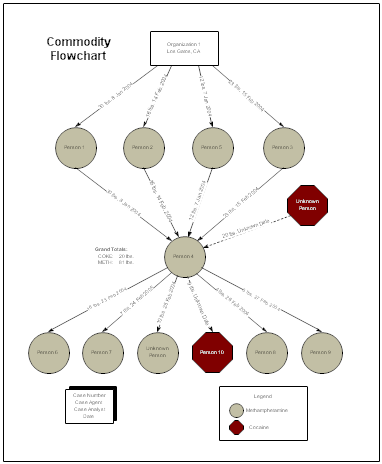 An activity flowchart shows an organization's method of operating. 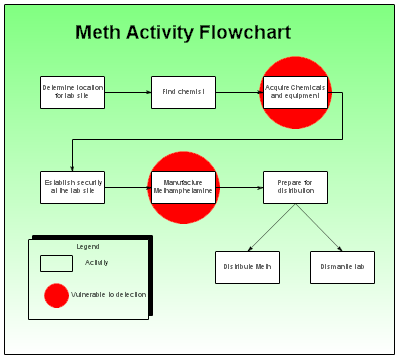 A commodity flowchart graphically shows the distribution pattern of drugs, money, goods, or services. 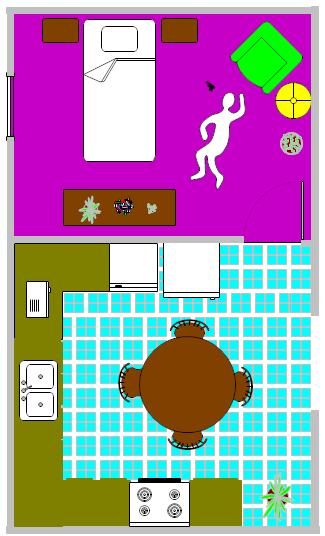 With RFFlow you can use the office and home layout shapes to draw two dimensional crime scenes. These shapes are in the Floor Plans category of stencils and in the Criminal Analysis category.